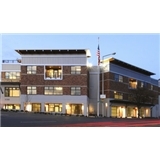 Hanson Chiropractic Clinic (Seattle) - Book Appointment Online! At Hanson Chiropractic, we take personal interest in you and care about your complete health. Based in Seattle, Washington, we are a chiropractic center that offers treatment for spine-related issues such as back pain, neck pain, and sciatica injury rehabilitation. We offer additional wellness services including massage, physical therapy as well as an effective weight loss program. Very nice and informative! Would recommend him to others. We live in bremerton and would definitely go back no matter the drive. Great staff as well.